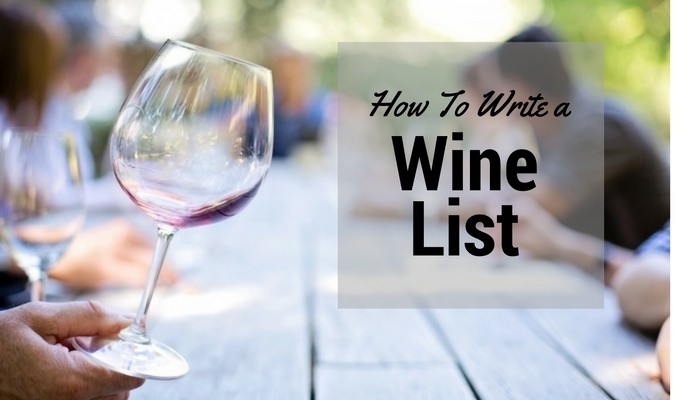 How To Write A Wine List - Nisbets Australia Blog - Industry news, trends, recipes and more! To help you with the fundamentals of writing a wine list, we have compiled an easy to follow article that will help you with the basics and offer a few tips along the way. How many wines should you list? What types of wine should you list? What wine will pair with what food? How to train your staff in the art of wine tasting? How to format your wine list for improved sales?